Wolf Commercial Real Estate, the foremost Cherry Hill commercial real estate brokerage firm with expertise in Cherry Hill commercial real estate listings and services, now has available Class A Cherry Hill office space for lease at 1926 Greentree Road Cherry Hill NJ. This Cherry Hill office building for lease features prominent, eye-catching architectural details on a unique and beautiful Cherry Hill professional office building for lease. There is approximately 3,000 square feet of prime Cherry Hill professional office space for lease in this Cherry Hill office building for lease. The asking lease price of this professional office space in Cherry Hill has been reduced to $16.50/sf gross plus utilities and janitorial. This Cherry Hill professional office building for lease is being offered for immediate occupancy through Wolf Commercial Real Estate, a Cherry Hill commercial real estate broker that specializes in Cherry Hill commercial real estate listings and services. This Cherry Hill professional office space for lease at 1926 Greentree Road Cherry Hill NJ features high-end office fit-out and finishes. There is monument signage in place at this professional office space in Cherry Hill, which has on-site ownership and management. This Cherry Hill office space for lease includes a free basement storage unit. Parking at this Cherry Hill office building for lease is abundant. This Cherry Hill professional office space for lease is available through Wolf Commercial Real Estate, a Cherry Hill commercial real estate brokerage firm with expertise in Cherry Hill commercial real estate listings and services. 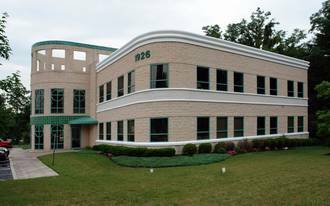 There is easy access to Routes 70 and 73 from this professional office space in Cherry Hill and I-295 is located just one mile away, providing convenient north-south access. This Cherry Hill office space for lease is in close proximity to numerous restaurants and retail stores. More than 215,600 residents live within a five-mile radius of this Cherry Hill professional office building for lease. The average household income in the same geographic area near this Cherry Hill professional office space for lease is $103,400. For more information about this Cherry Hill office space for lease at 1926 Greentree Road Cherry Hill NJ or about any other Cherry Hill commercial properties for sale or lease, please contact Jason Wolf (856-857-6301; jason.wolf@wolfcre.com) or Leor Hemo (856-857-6302; leor.hemo@wolfcre.com) at Wolf Commercial Real Estate, a Cherry Hill commercial real estate broker that specializes in Cherry Hill commercial real estate listings and services.